W. D. Lakshman received his post primary and secondary education at VidyalokaVidyalaya(now Vidyaloka College) in Galle and entered the University of Ceylon at Peradeniya in 1960. He was awarded the University of Ceylon scholarship based on his performance at the University Preliminary Examination. He obtained the degree of Bachelor of Arts in Economics specializing in Money and Banking – the subject specialization still considered as elite specialization in Economics. He was appointed Assistant Lecturer in Economics in January, 1965. Prof. Lakshman preceded to the prestigious University of Oxford in the UK for his doctoral studies on a University Scholarship in 1968 and resumed work in 1973 having obtained a Doctor of Philosophy (D. Phil). Prof. Lakshman having been a student in the first batch of Sinhala medium undergraduates realized the difficulties faced by the students due to lack of books in Sinhala. He started writing books in Sinhala during his assistant lecturer days and continued with this practice during the rest of his career. He also contributed significantly to the translated literature in Sinhala on economics, of which a major highlight was the translation, editing and publication of the Sinhala translation of the renowned textbook in economics written by Professor Paul Samuelson. Prof. Lakshman, while serving the University of Peradeniya as a Senior Lecturer in Economics, was appointed the Professor (Chair) of Economics in Colombo and the Head of the Department in the University of Colombo in October, 1982. Subsequently, he was promoted to the grade of Senior Professor in August 1992. Prof. Lakshman pioneered postgraduate taught programmes in Economics both at Postgraduate Diploma and Masters Levels, in addition to the reorganizing and restructuring research degrees at Masters and Doctoral levels offered by the Department of Economics. His research over a period of forty years covered a wide range of subjects including poverty, growth, equity, unemployment, public enterprises, structural adjustment policies, agriculture and industrial development, rural development, international trade, international finance and globalization. Prof. Lakshman’s contribution to development of human resources in the Department of Economics and more generally to promotion and up-grading of economic teaching in the country is extensively recognized. In this endeavour a Dutch Government funded project of collaboration between Colombo Department of Economics and the Institute of Social Studies in the Hague from 1987 to 2000 was enormously helpful and Professor Lakshman’s contribution in the development and management of this foreign aid project was of far reaching significance. Due to these efforts, by the time Prof. Lakshman retired from university service, the Economics Department of Colombo had become the uncontested leader in economics teaching in the entire university system in Sri Lanka in terms of the number of qualified teachers, quality of teaching and the variety of postgraduate courses on offer. Prof. Lakshman was appointed a Research Professor at the Faculty of Graduate Studies in March 1991 and subsequently he was appointed the Dean of the Faculty in September, 1991. As the Dean, Prof. Lakshman made significant changes to the structure of the Faculty of Graduate Studies and by introduced many postgraduate courses in several multi-disciplinary areas. Prof. Lakshman was appointed Vice-Chancellor of the university of Colombo on 19/12/1994 and held this office with distinction up to end of March 1999, when he resigned from this position in order to take up a Visiting Professor assignment in a Japanese university. During his period as Vice-Chancellor, he was instrumental in re-structuring the undergraduate programmes at the faculty of Arts. The semester based modular system was introduced to the University of Colombo during his tenure. He also contributed a great deal to the development of the University particularly in areas such as postgraduate education, link programmes, staff development and infra-structure developments. A number of building projects were either initiated or carried out during his term of office. The main Library Building stands a monument to his efforts. Another foreign funded research project initiated due to the efforts of Prof. Lakshman was instrumental in bringing to the University the Project widely known within the university as the JICA Project. The establishment of the Staff Development Centre (SDC) for capacity and skills development of both academic and non-academic staff of the university was a noteworthy contribution of Prof. Lakshman. The Centre continues excel further and some of its qualifications are accepted by a coordinating agency of university staff development centresin Britain. The SDC of Colombo provides training facilities to the entire university system in Sri Lanka. The Career Guidance Unit, the Graduate Foundation, Research Management Unit and various other projects were established under the guidance during Prof. Lakshman’s tenure of office as Vice Chancellor. The community service projects in Kurunegala and Weligatte were established during Professor Lakshman’s period as Vice-Chancellor. The Weligatte Project has been converted into a fully fledged Institute for Agro Technology and Rural Sciences in 2008. The Western Campus at Horana later re-named as Sri Palee Campus of the University of Colombo was another initiative of Prof. Lakshman as Vice Chancellor. In 1998, Prof. Lakshman was appointed the “S. W Brooks Visiting Professor of Queenlands University, Australia, a Professor in the Faculty of Economics of the Ryukoku University, Japan for a period of two years in 1999, and Professor in the Faculty of Economics, Saga University, Japan in 2004. Professor Lakshman’s involvement in policy related activities was extensive. At different times of his career, he held the positions as a Member, National Task Force for Industrial Development, Member of the National Task Force for Educational Reforms, Member and Vice Chairman, National Development Council and Board Member, Sri Lanka Foundation Institute, and Chairman of the National Institute of Business Management. His involvement in non-governmental sector activities included honorary chairmanships at Social Scientists Association, and International Centre for Ethnic Studies. After retirement from university service he held the position of Senior Advisor, Ministry of Finance & Planning for two years on the invitation of the government and now holds the position of Chairman of the Institute of Policy Studies on invitation. In recognition of his excellent services towards national development Professor Lakshman was honoured with the title of “Deshamanya” in 2005. Professor Lakshman’s forty three years long academic career of which twenty five years were as Professor and Senior Professor was concluded on 27th October 2007. 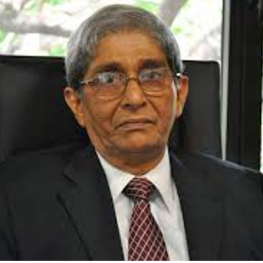 The University of Colombo taking into consideration the excellent academic career of Professor Lakshman granted him the title of Emeritus Professor in 2008. His colleagues and friends have joined together to edit and publish two separate felicitation volumes in his honour, one in English and the other in Sinhala. The University of Colombo, in recognition and appreciation of the excellent services rendered by Prof. W. D. Lakshman to higher Education in particular and to the country in general, conferred on him the Degree of Doctor of Letters (Honoris Causa) at the convocation of the University of Colombo in 2008.